It’s a great honor for us that we’re able to support our active military members and veterans in earning their college degrees. Today we’d like to introduce one of them to you -- Sergeant Stephen Cowperthwait. Along with being a former member of the Marine Corps, a current member of the National Guard, and an Information Systems Analyst with the U.S. Army, he is also the seventh recipient of the Peirce College/Pennsylvania National Guard Scholarship. We learned more about Stephen’s story when we interviewed him for our blog. Here’s what he told us. Stephen grew up in Susquehanna, Pa., a small suburban town outside of Scranton. After graduating high school, he earned his bachelor’s degree in Management from Penn State University. He got a taste of several different business experiences through internships, including ones at the school newspaper, career development services, and Walmart. However, upon graduation, he was unsure where he wanted to hone his business focus. But he also recognized that he could strengthen his skills through joining the military, and felt the Marine Corps was a perfect fit. So he made the decision to serve in the Corps for the next four years. His time in the Marine Corps was well spent, as he was able to apply lessons learned through his service to his civilian management positions after he finished serving. He spent the next 20 years in management in various industries, including finance, logistics, beverage, and the mortgage business. But five years ago, he decided he wanted to make a career change. He was watching the IT industry rapidly expand, and recognized the opportunities and job security the field could provide him. 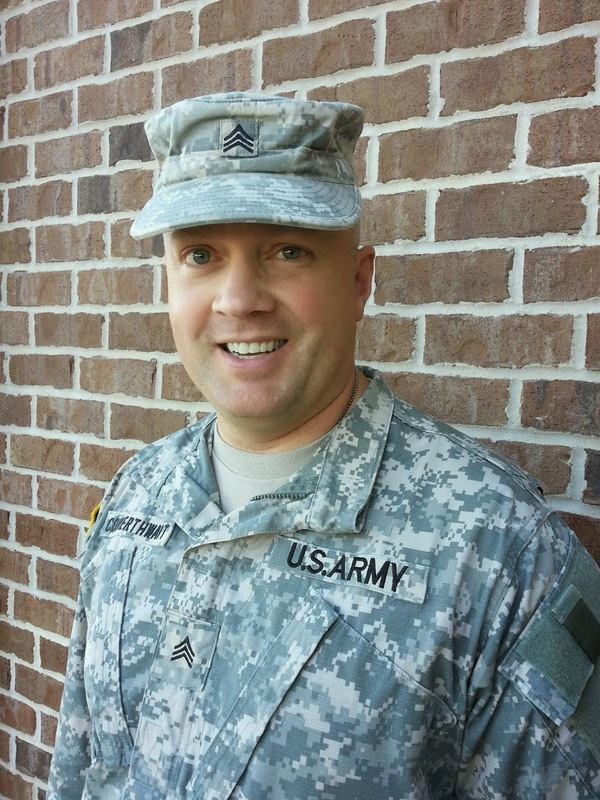 To prepare for a job in IT, Stephen participated in the National Guard’s military occupational specialty training. But about a year and a half ago, he decided that he wanted to take his education a step further and return to school to earn his college degree in Information Technology. Stephen is currently enrolled in our Information Technology program with a concentration in Network Administration and Security. He believes a concentration in Networking will provide him with a solid foundation of the technical skills needed to succeed in an industry where the only constant is change. 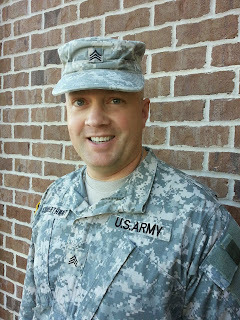 He takes his classes online part time, works full time, and serves in the National Guard. Congratulations, Stephen! Good luck in your classes at Peirce!